Russia is claiming that the Kh-47M2 Kinzhal aero-ballistic missile will have a range of 3,000 km aboard the Tupolev Tu-22M3 Backfire supersonic bomber. Moscow also claims that the weapon has a range of 2,000km when launched from the Mach 2.83-capable Mikoyan MiG-31K Foxhound interceptor, onboard which it was initially fielded. "The Kinzhal is an air-launched missile system and, therefore, it is necessary to look at its range considering the combat radius of its carrier. For the Tu-22M3, aboard which the missile will soon be tested, the hypersonic missile’s target destruction range will equal over 3,000 km [the carrier’s combat radius plus the missile’s range],” a Russian defense industry source told the TASS news agency. Given the Russian defense industry source’s statements, it can be assumed then, that Kinzhal missile’s range is significantly shorter than 2,000km since that figure includes the MiG-31’s combat radius. Indeed, U.S. intelligence reports have noted that the weapon—which Washington believes will become fully operational in 2020—was recently tested against at target at a range of 500 miles or 805km, as Amanda Macias at CNBC reports. That makes sense because the Kinzhal was developed from the Iskanker short-range ballistic missile that has a 500km range. U.S. intelligence reports suggest that the weapon has been tested about a dozen times, contradicting Russian claims that the missile has been test flown more than 250 times. It is not clear if the Tu-22M3 can launch the Kinzhal because it is not as fast or as high flying as the MiG-31. “I believe it is speed that matters,” retired Lt. Gen. Mikhail Oparin, former commander of the Russian Aerospace Forces Long Range Aviation branch, told the state-owned TASS news agency . 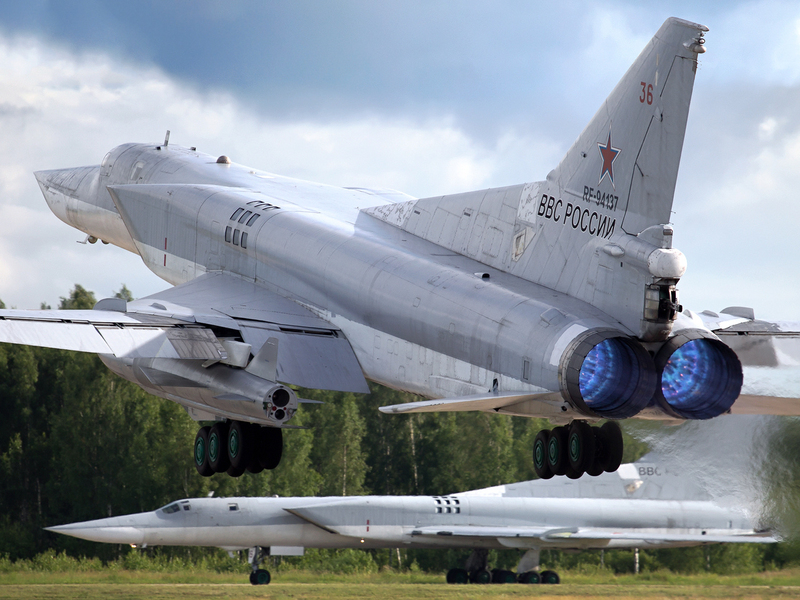 While adding the Kinzhal to the Backfire’s arsenal might be operationally useful for the Russian air force, it remains to be seen if the Tu-22M3 is capable of accelerating the weapon into the correct launch parameters. Though the Tu-22M3 is capable of reaching speeds of about Mach 1.88, it does not quite have the sheer acceleration, speed or altitude of the MiG-31K. Even with a full air-to-air payload, the MiG-31 can sustain speeds of Mach 2.35 with a service ceiling of roughly 67,500ft. “The tests are needed to see whether it [the bomber] will be capable of accelerating the missile and to get the results,” Oparin said. “For long-range aircraft pilots, the missile is sooner of the tactical scope but at the same time it has clear advantages by its capabilities of breaching enemy anti-ballistic missile defenses." The Russians claim that the Kinzhal—which is based on the 9K720 Iskander short-range ballistic missile—is effectively invulnerable to existing ballistic missile defenses because of its maneuverability in flight. Moreover, Moscow claims the missile is capable of hitting a wide range of targets. “This is a class of precision weapons fitted with multifunctional combat capabilities making it possible to strike both stationary and mobile targets,” Russian deputy defense minister Yuri Borisov told TASS . According to TASS, the Russian Ministry of Defense is expected to test the Kinzhal missile onboard the Tu-22M3, citing a source in the Russian defense industry. With a claimed range of over 1,200 nautical miles and a speed of Mach 10, the addition of the Kinzhal missile would significantly boost the Backfire’s capabilities to strike land and maritime targets across Europe, the Middle East, the Asia Pacific and the North Atlantic regions. While Western experts harbor some doubts about just how operational the Kinzhal missile is, the Russians insist that the weapon is operational onboard the MiG-31K. Moscow claims that its MiG-31K crews have already flown more than 250 training flights with the new weapon. “The Kinzhal [Dagger] high-precision hypersonic aero-ballistic missile that flies at Mach 10 is already in service with our army in the Southern Federal District, as I have already said,” Russian President Vladimir Putin reiterated again last month during a televised call-in show on June 7. At the end of the day, aeroballistic missiles are not as complicated or technically challenging to develop as a scramjet powered missile and the Russians have plenty of experience with similar weapons. Thus, it is likely that the Kinzhal is probably operational in a limited capacity, but eventually the weapon will likely be deployed more widely as it becomes more mature. It is also likely that the Kinzhal will probably be integrated on other Russian strike platforms such as the Tu-22M3, Tu-160 Blackjack or even large fighter aircraft such as the Su-30SM that can reach high supersonic speeds.